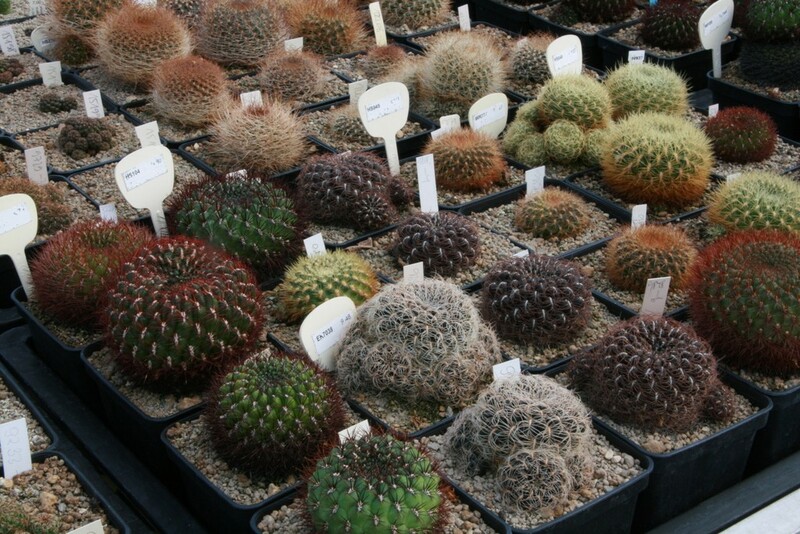 However, I really could not imagine that I would find such a beautiful collection ! 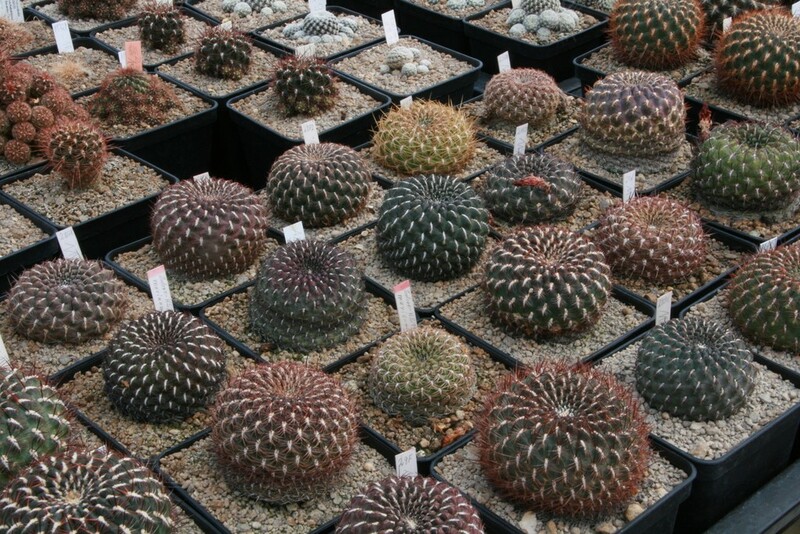 All is perfectly arranged, clean and in good health. 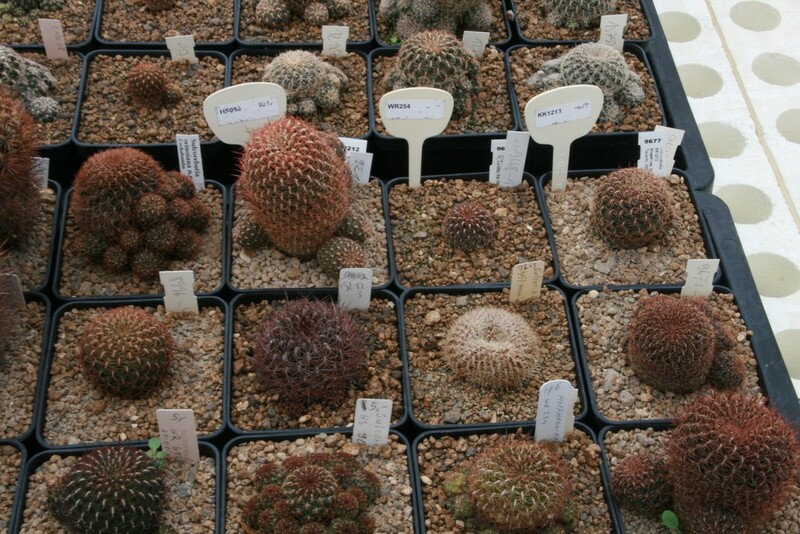 Here are some views of it ! 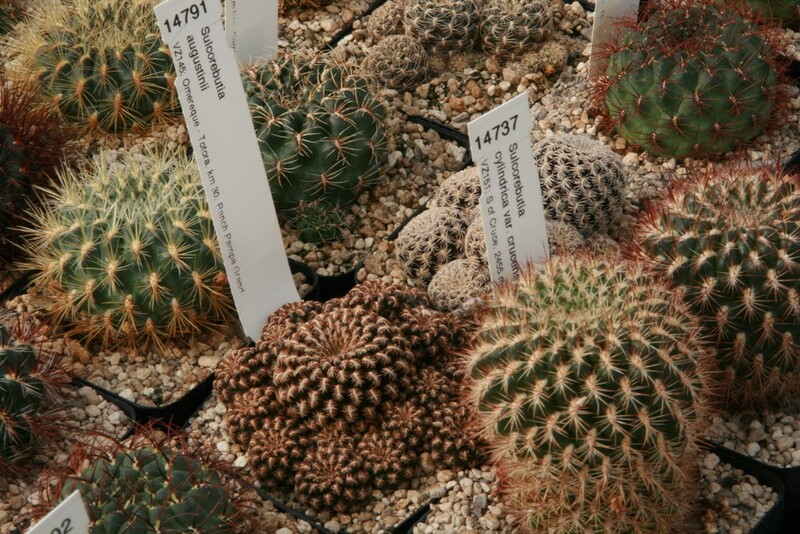 "I am 54 years old and collecting cacti and other succulents since 44 years. 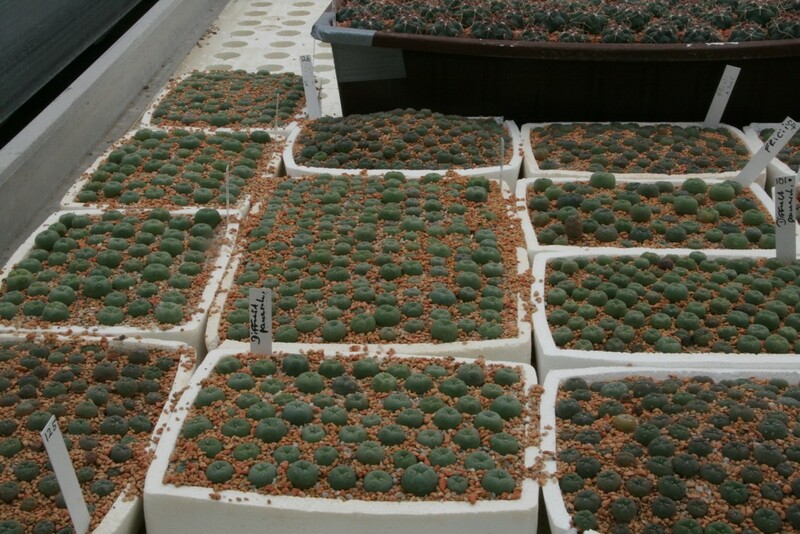 I had my own greenhouse in my parents garden since I was 16 years old. 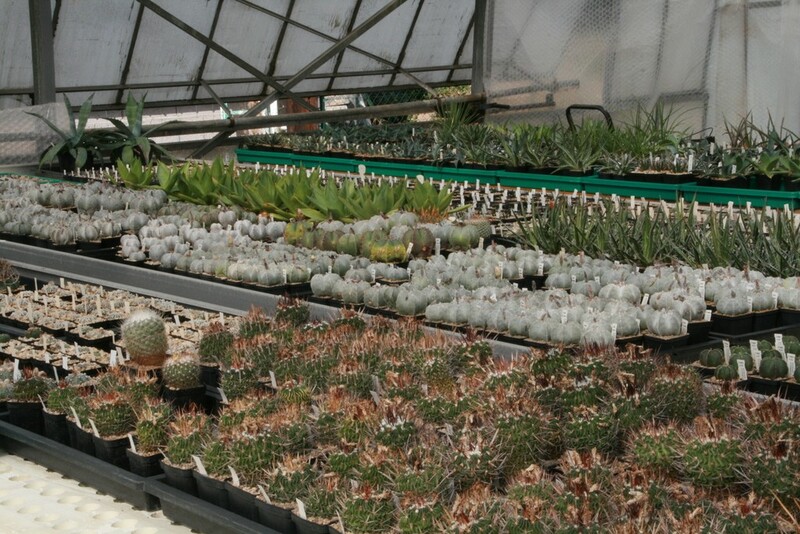 Later I bought my own house and build (at least) 3 greenhouses there. 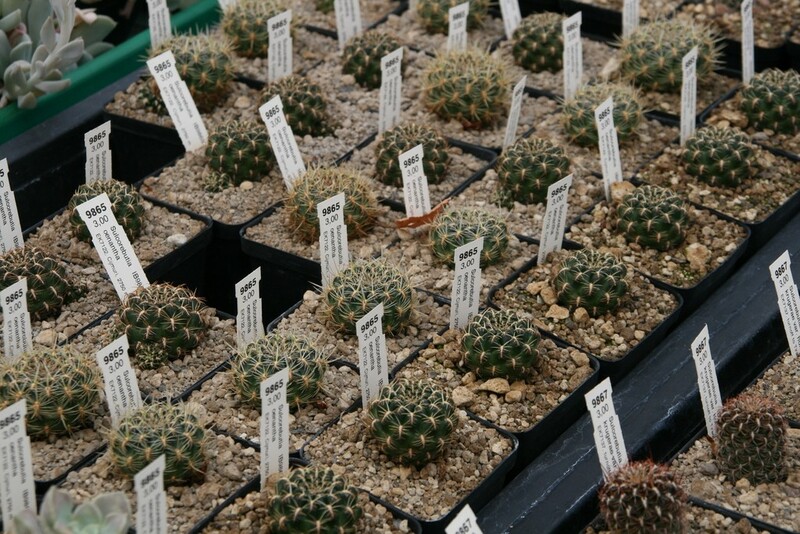 But the space was limited and so Ernst Specks, a friend of mine since many years, offered me his nursery greenhouse to rent, because he wanted to build a new larger one. 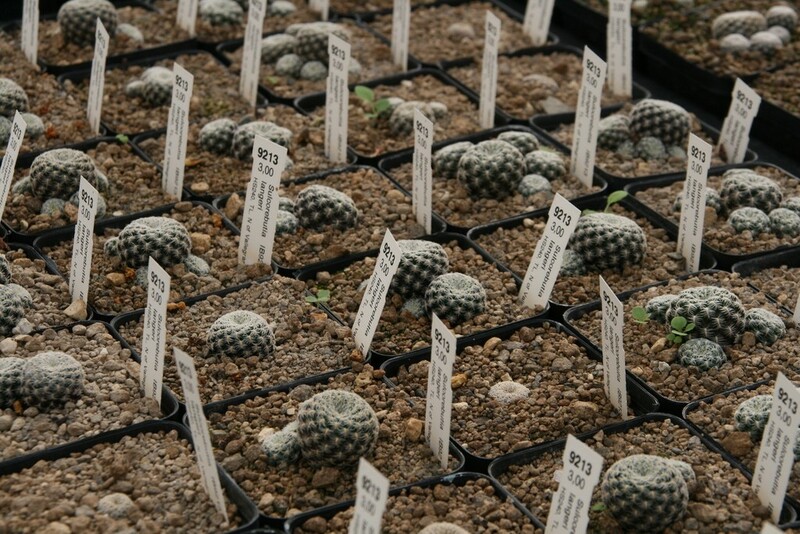 In July 2002 I started in Erkelenz - Golkrath my own nursery. 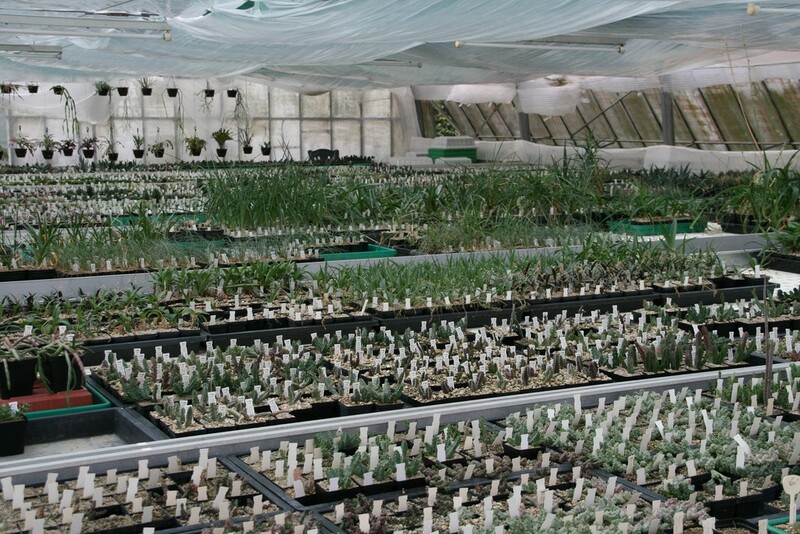 Very soon it became also too small for all the plants I propagated and in 2004 I saw the property I now own for sale, with 3 greenhouses and a total area of 1500 m² under glas. 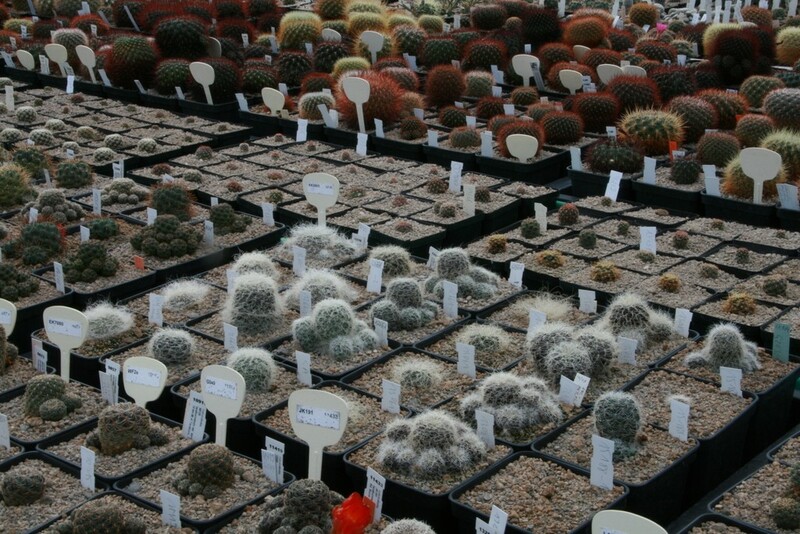 Since spring 2005 I do have my plants in Heinsberg - Oberbruch. 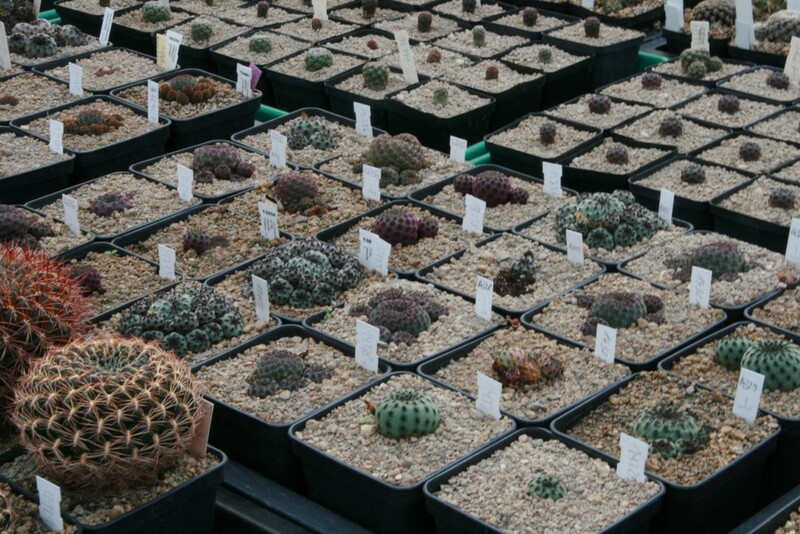 In the sales area I do have about 2500 different items of succulents and about 50.000 plants for sale. 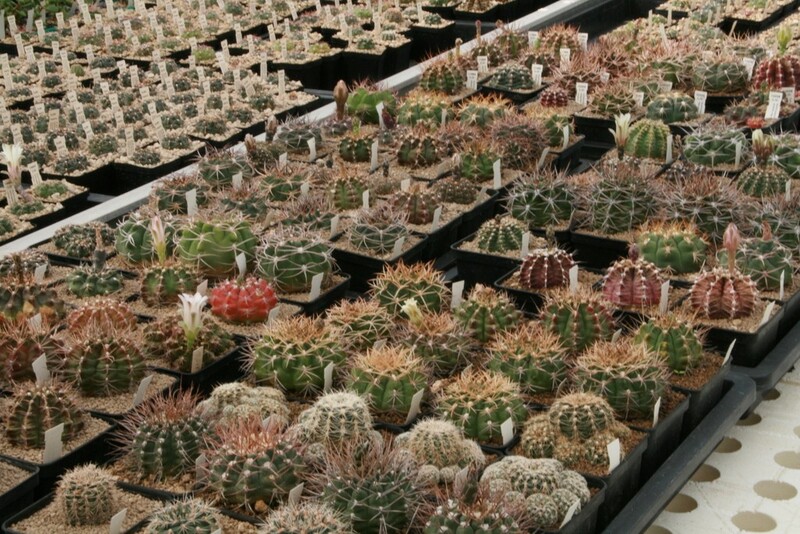 In my private collection I have about 6000 different items: 2500 Haworthias, 1500 Sulcorebutias, 1500 Gymnocalycium and the rest are Ascleps and South African bulbs, in total about 20.000 plants. 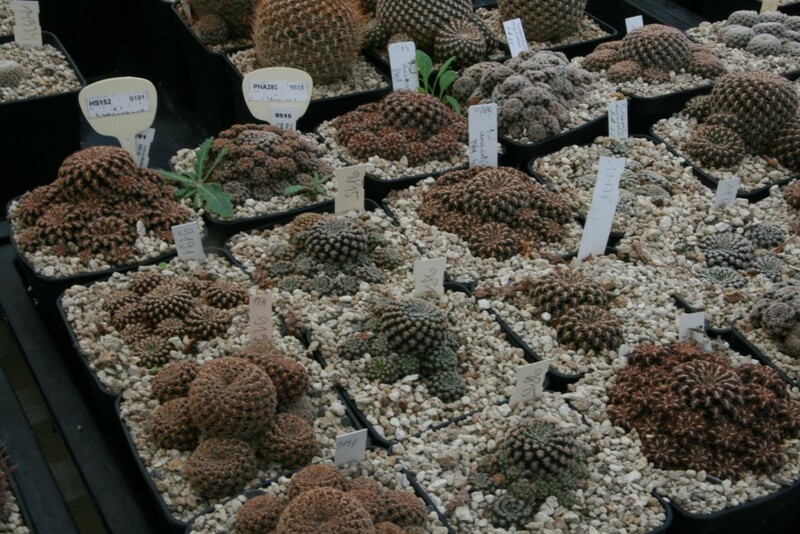 The base of my Sulcorebutia collection are parts of the Willy Fischer and Edmund Kirschneck collection, which I got in 2002/2003. 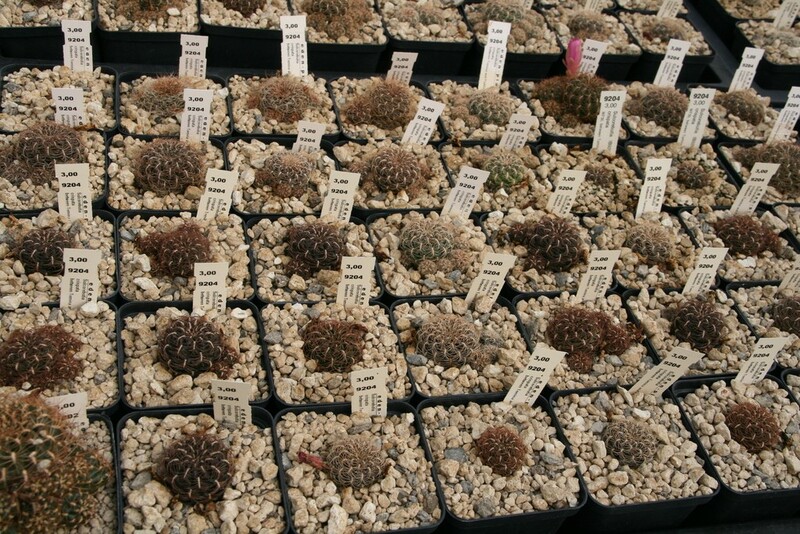 My aim with Sulcorebutia is, to have several clones of every collection number, which is available, because I want to focus my propagation on sowing own seeds of them. 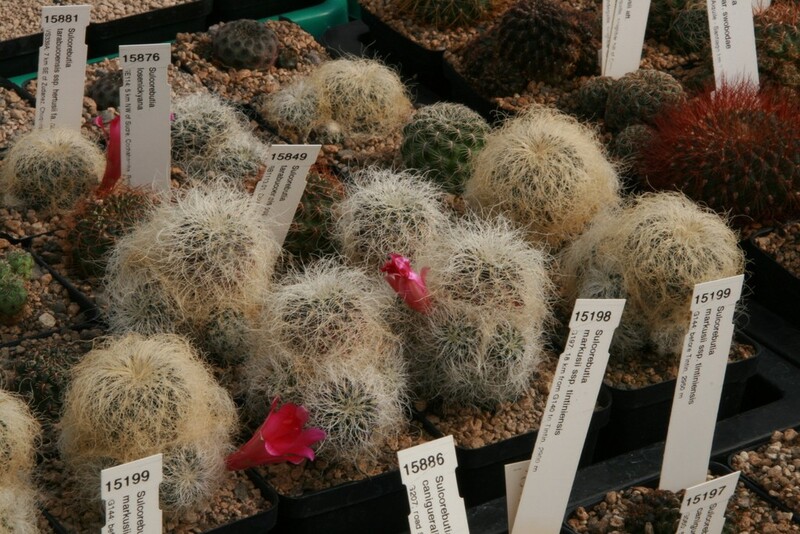 I arrived in the morning and Ingo's friends, Irmi and Torsten, were there to welcome me. 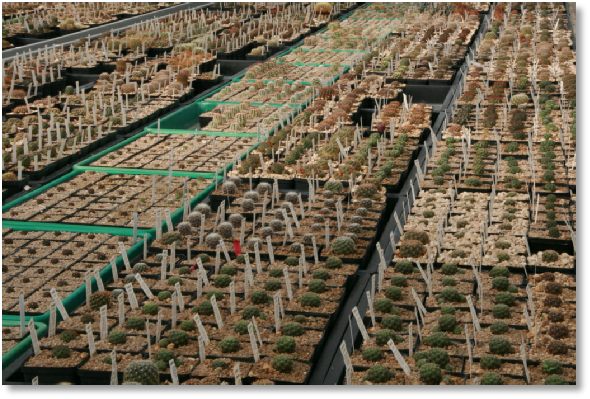 I stayed about 2 - 2 1/2 hours in the greenhouse and I only had the time to visit the private collection of Sulcos and of course I took a look at the Sulcos sale area ! 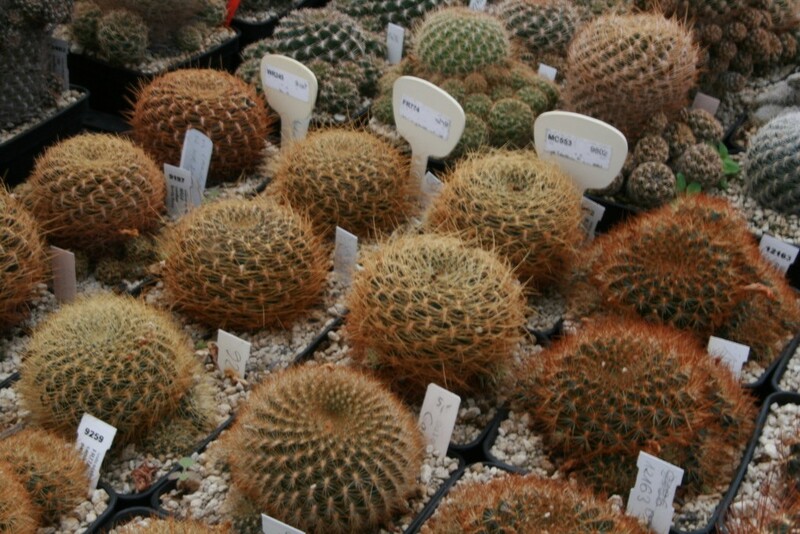 I must confess that I have been unable to resist and I have bought about thirty plants. 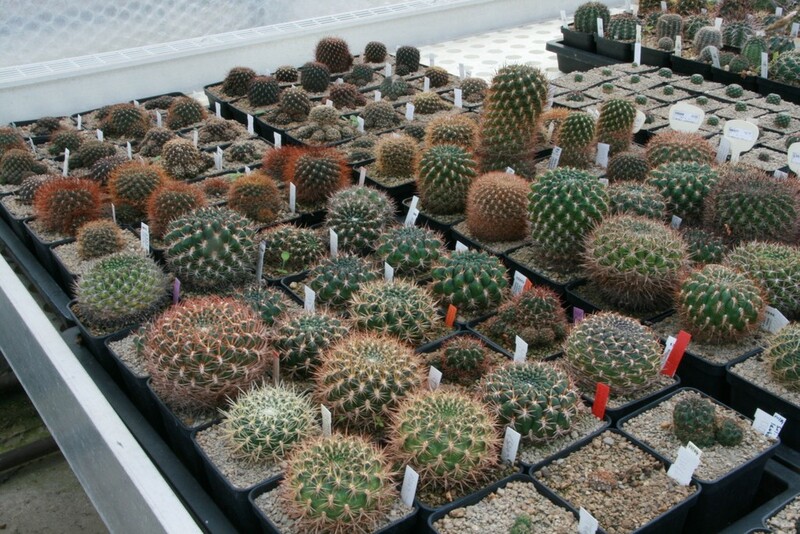 But I should say "only 30 plants" because you are really spoilt for choice over there ! 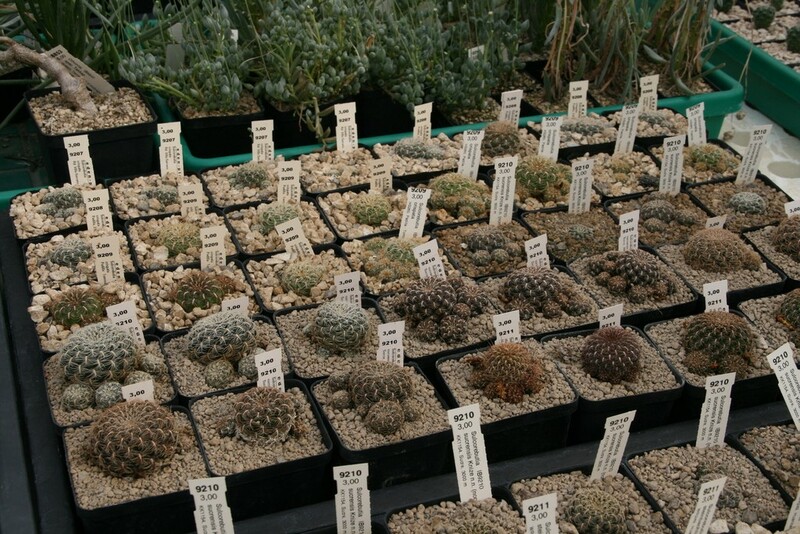 All the Sulcos for sale that I have seen were in 7 X 7 pots at the price of 3 €. 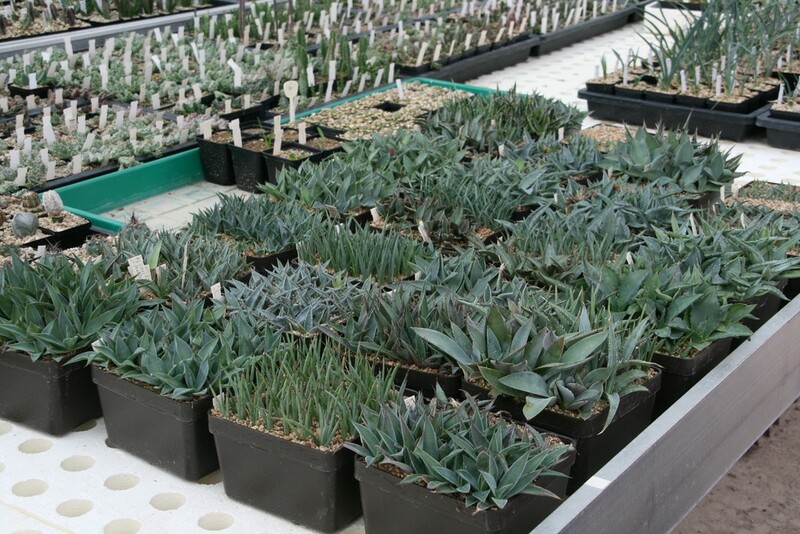 On the website there are some plants at a higher price but I didn't notice any of them ! 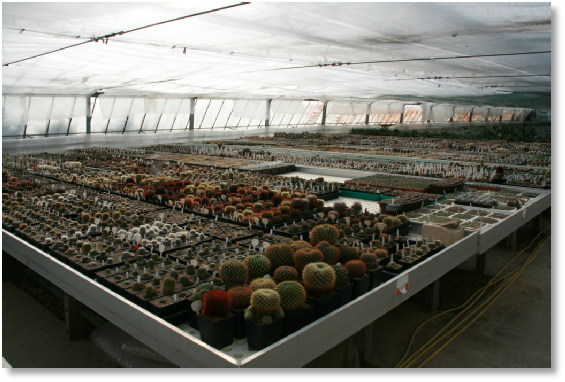 For some references (field number) you have the choice between at least 50 plants and that's a very good thing because you have the opportunity to observe the incredible variability of those plants ! 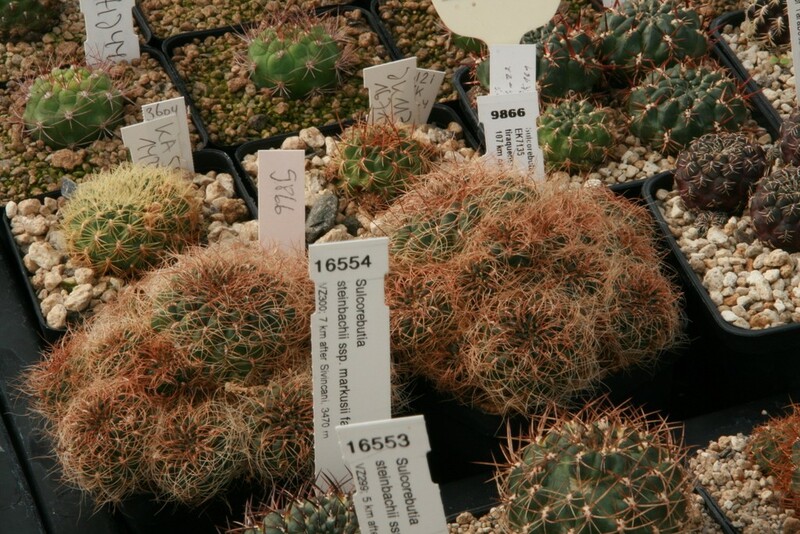 I didn't get the chance to meet Ingo Breuer but his friends Irmi and Torsten are very kind persons and they gave me an answer to all my questions. 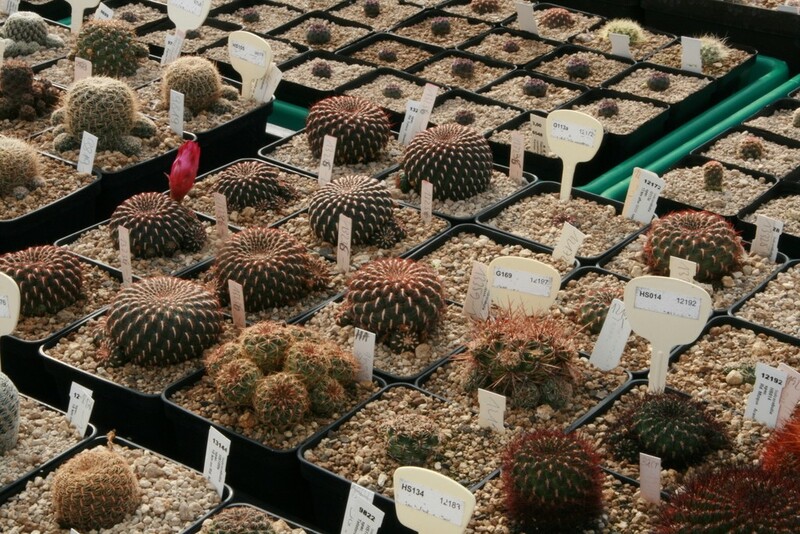 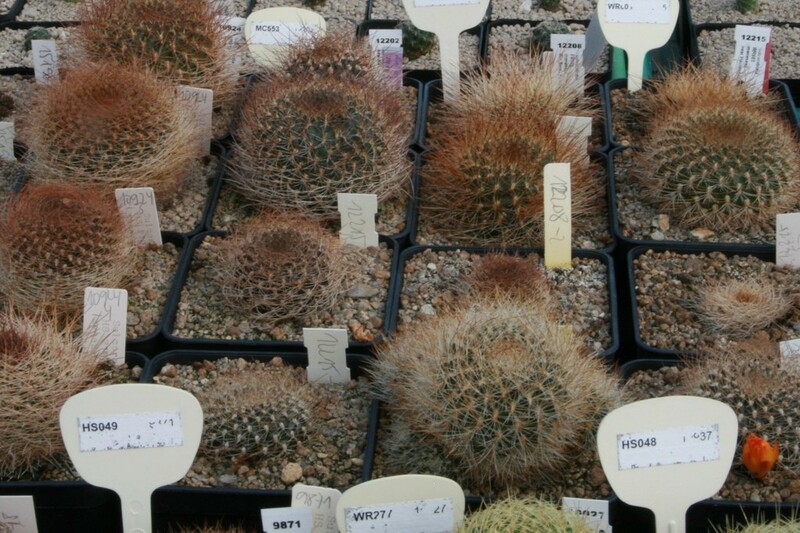 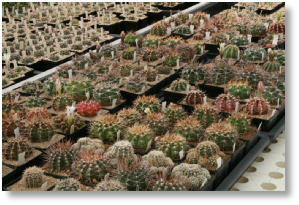 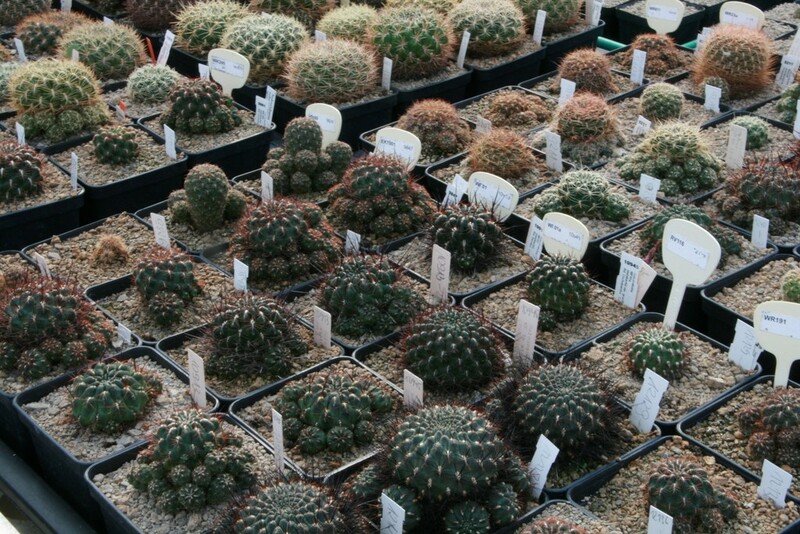 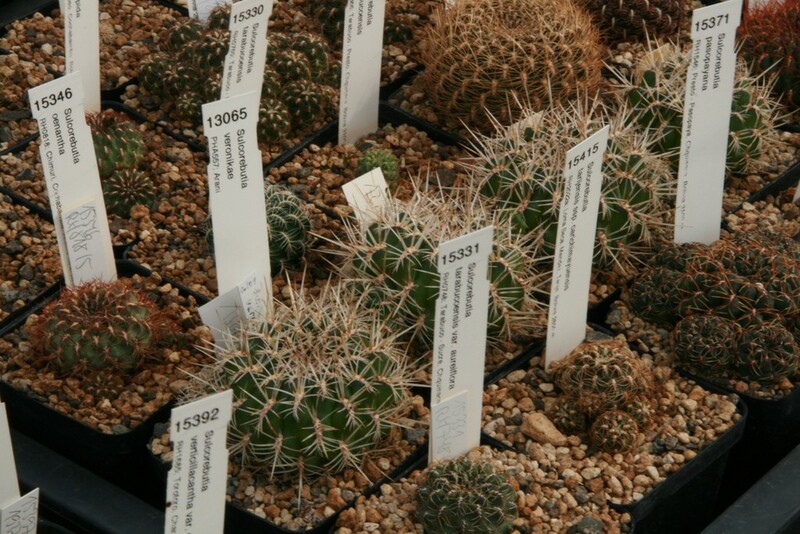 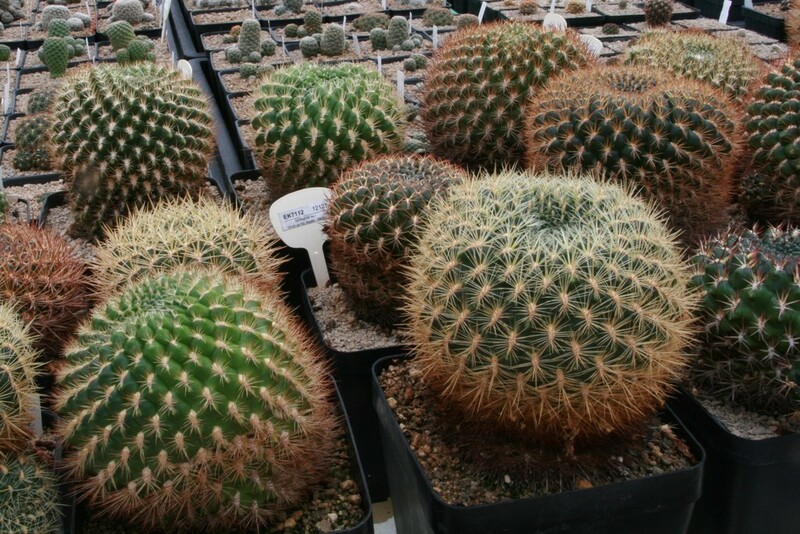 The sale area is very well stocked, specially if you are interested in Sulcorebutia, Gymnocalycium and Haworthia. 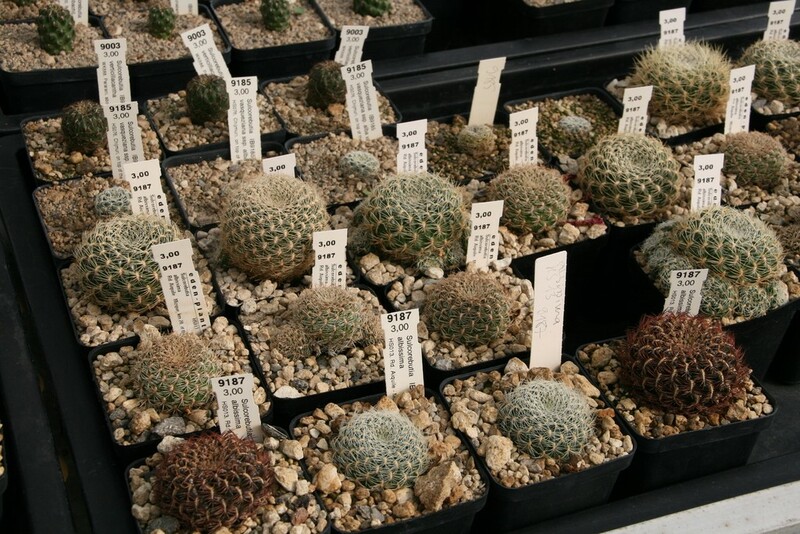 But you will find many other genera as well. 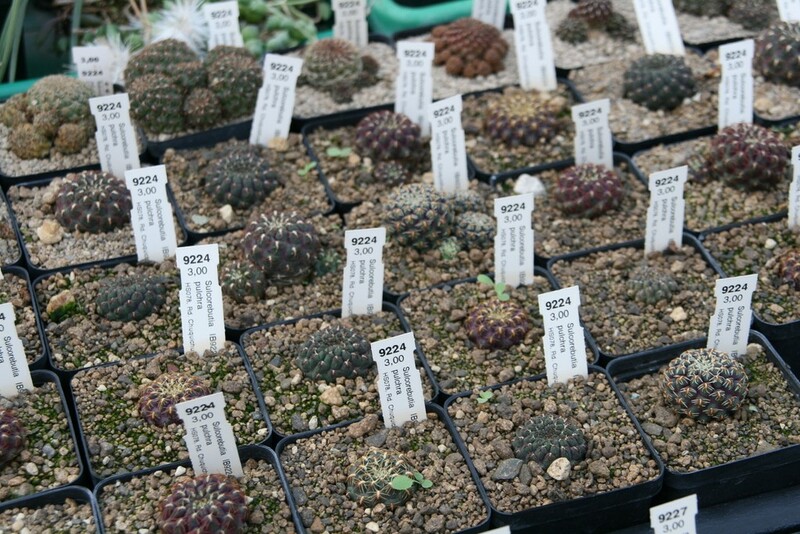  I was very estonished and impressed by the Sulco collection ! 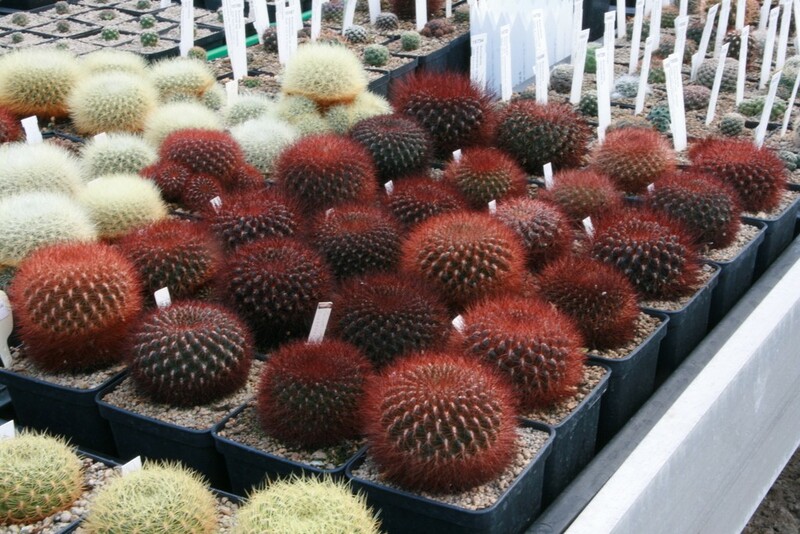 As I said earlier, I didn't imagine that I could see such a nice collection in a nursery. 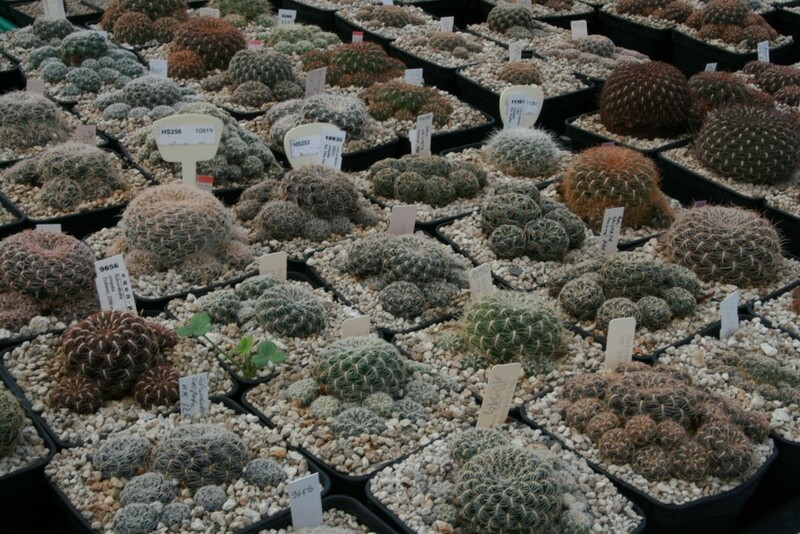 I unfortunately didn't get the time to visit the other collections. 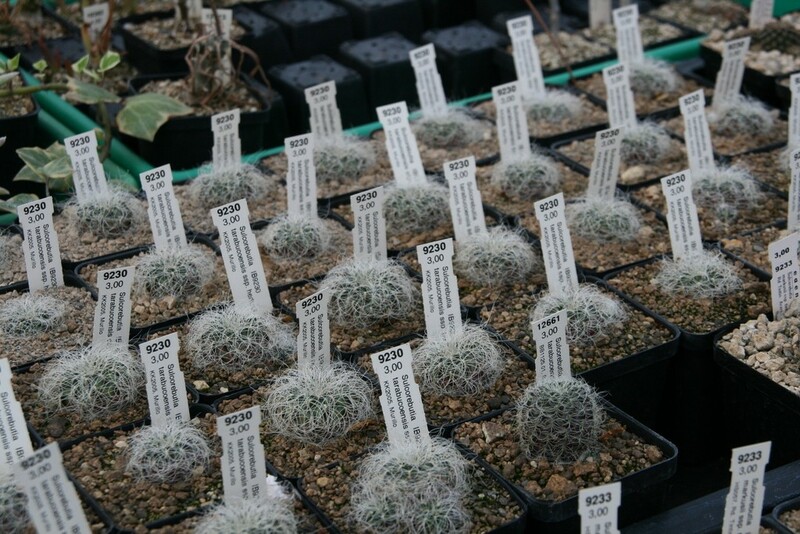 But next time I'll certainly do. 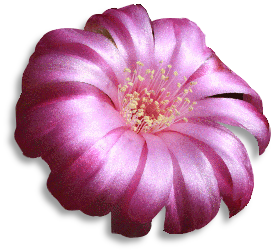 Oh yes, no doubt, for me there will be another time ! 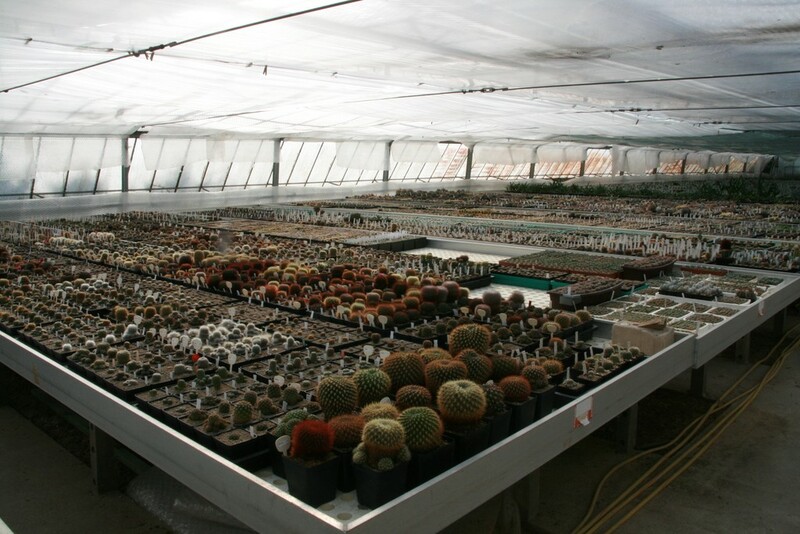 A general view of the greenhouse. 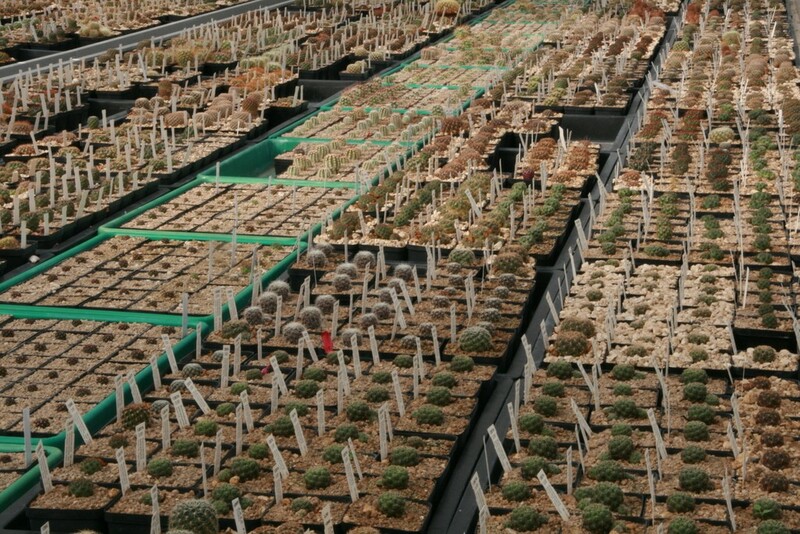 In the foreground, the private collection of Sulcorebutias.